As millions of Apple fans expected, iPhone 7 was released ceremoniously at its annual September. It brings you the best iPhone experiences ever: more advanced camera system, most colorful performance and display, longer battery life, perfect stereo speaker, total water resistance, and more. Is this your most anticipated Smartphone and are you planning to buy it? If yes, you probably would use its camera to record various kinds of interesting or funny videos. Accidentally, you may shoot a video in wrong direction and need to rotate it vertically or horizontally. As you know, it is easy to do this with a photo, but there is no option for you to rotate iPhone 7 video. Before we start to rotate the videos on your iPhone, you firstly need to move them to your PC. Just by using Apowersoft Phone Manager, you will be able to finish the task very easily. Apowersoft Phone Manager is a professional desktop tool for managing all files including music, contacts, videos, voice memo, pictures, SMS and other files on your mobile devices with iOS or Android systems. You can use it to transfer files between mobile devices and computer, backup data from phones to PC or restore files from computer to phones. It also provides you many other wonderful features such as displaying phone screen on PC, screenshot iPhone, iPad or any other Android devices. In one word, it can be used as an multifunctional phone management tool. Download and install Apowersoft Phone Manager on your computer. Connect your iPhone to PC with USB cable and then the program will detect it automatically. 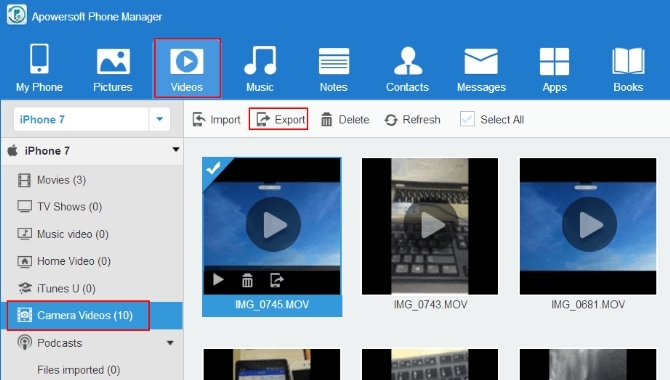 Click “Videos” tab > “Camera Videos”, select the video files and click “Export” to transfer files to your PC. Once you have transferred the files to PC, it is easy to solve the problem of how to rotate video in iPhone 7. Here we would like to recommend you a free and powerful online service – Video Grabber. Video Grabber is designed especially for you to convert video or audio from one format to another. It supports nearly all the popular formats including MP4, AVI, 3GP, VOB, WMV, FLV, MOV, MP3, MP2, WMA, WAV, AAC, OGG and so on. And it provides you many kinds of fantastic video editing functions such as trimming, cropping, rotating, flipping, speeding up, slowing down videos, etc. It also allows you to grab videos from video sharing sites and record computer screen without any limitation. Visit Video Grabber and click “Convert Video” tab > “Select files to Convert” button. If you are the first-time user, you need to install the launcher before converting. It’s very easy, just go to download and install it. You will be directed to select your files for converting files immediately. Click “Edit” button, scroll down the right bar until you see “Rotate Video” option. Click it and choose to rotate right 90°, 180°or 270°. Click “OK” > “Convert” to save file. 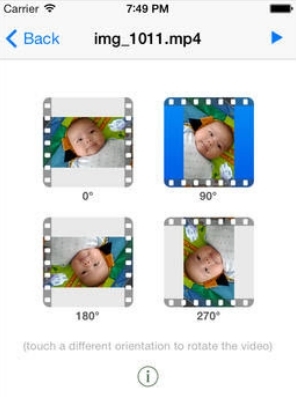 Video Rotate can support all versions of iPhone series and help you solve rotating video very simply. One of the drawbacks is that it is not a totally free app. You are required to remove ad by paying $0.99. If you hate using an app with cluttered interface, this will be a nice iPhone 7 video rotator for you. As its name claims, this app can help you make your iPhone video size smaller. Normally, you can use it scale down your file size to as much as 80%. According to your will, you are allowed to split a long video into small clips or merge short videos to one with the app. 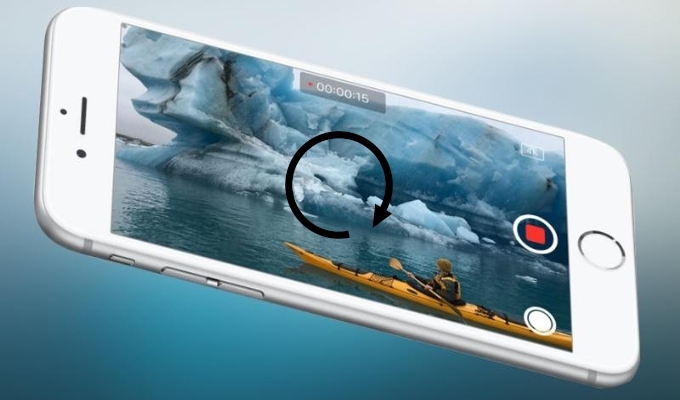 It can be used as a very handy rotation tool for rotating your iPhone video. Because of its powerful functions, the price is a little expensive – $2.99. Video Rotate & Flip, which has been well received by Apple store users, is another good option of iPhone 7 video rotator. It can not only rotate video but also flip video. If you don’t mind the $1.99 price, get it. You might like its compact and intuitive interface. Above are the easy ways on how to rotate video in iPhone 7. 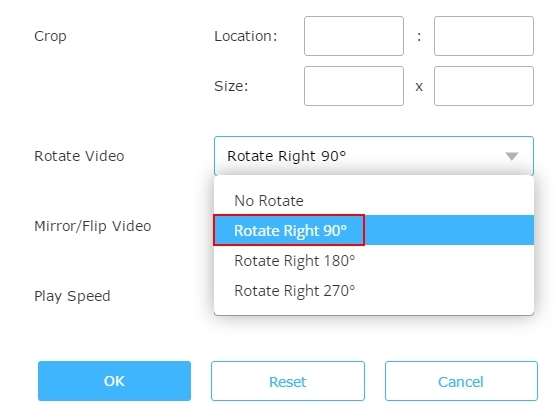 You can choose the most suitable way to rotate your videos. By the way, if you just discover other great ways for rotating video, feel free to write them down in the comments table. If they indeed can help us do the job better, we surely will add them to the post as soon as possible. Also, we warmly welcome any user who would like to talk about the topics on editing videos.